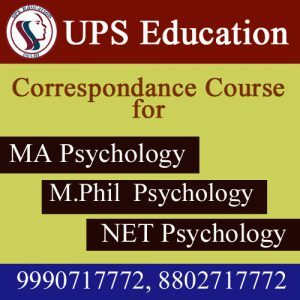 UPS Education is the unique Institute for psychology coaching in Delhi. 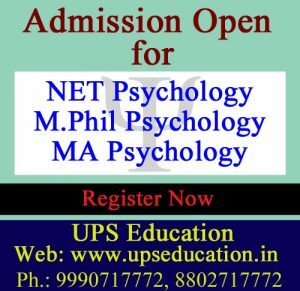 UPS Education is one of the top destinations for NET&MA Psychology Coaching, According to Director of UPS Education, who want to crack entrance examination of NET & MA Psychology; they need to be focus and study systematically. UPS Education providing a supportive, student centered learning environment which enables student to meet their educational and career goals and achieve positive learning out comes. UPS Education is providing some Classes of Psychology. 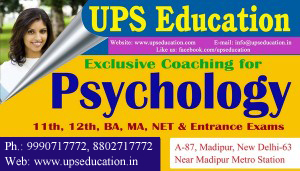 This entry was posted in approaches of psychology, best psychology coaching classes in delhi, Best Psychology Institute, CBSE NET Psychology Coaching, M. Phil Clinical Psychology Coaching, MA Psychology Coaching, NET Psychology Coaching, psychology coaching class, psychology coaching in delhi, UGC NET Psychology Coaching on December 30, 2015 by UPS Education. This entry was posted in approaches of psychology, Arvind Otta, best psychology coaching classes in delhi, Best Psychology Institute, CBSE NET Psychology Coaching, Coaching Center in Delhi, coaching classes in madipur, M. Phil Clinical Psychology Coaching, MA Psychology Coaching, NET Psychology Coaching, UGC NET Psychology Coaching on December 29, 2015 by UPS Education. CBSE Conduct National Eligibility Test (NET). it is difficult to crack National Eligibility Test but Systematic study and guidance will improve the chances. Lots of student feared because they think that CBSE will increase the difficulty level. But according to some Professors want to assure all the student and said, NET Examination will held as previous time without any further changes. UPS Education also said that; do not need to be anxious. Focus on the concept of Psychology and be confident. UPS Education also ensures that pattern will be unchangeable so go in examination hall without worry. 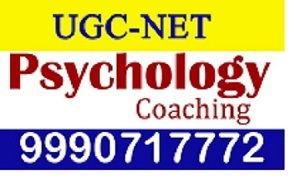 This entry was posted in approaches of psychology, best psychology coaching classes in delhi, Best Psychology Institute, CBSE NET Psychology Coaching, M. Phil Clinical Psychology Coaching, MA Psychology Coaching, NET Psychology Coaching, psychology coaching in delhi, UGC NET Psychology Coaching on December 28, 2015 by UPS Education. This entry was posted in Arvind Otta, CBSE NET Psychology Coaching, NET Psychology Coaching, psychology coaching class, UGC NET Psychology Coaching on December 26, 2015 by UPS Education. UPS Education is just started a new batch for NET Psychology Entrance, MA Psychology Entrance and M.Phil Psychology Entrance Examination. 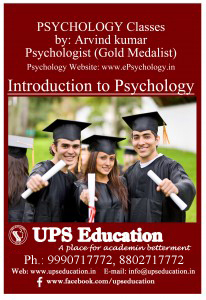 Come and Explore Your Psychology with UPS Education. This entry was posted in approaches of psychology, best psychology coaching classes in delhi, Best Psychology Institute, CBSE NET Psychology Coaching, M. Phil Clinical Psychology Coaching, MA Psychology Coaching, NET Psychology Coaching, UGC NET Psychology Coaching on December 24, 2015 by UPS Education. This entry was posted in approaches of psychology, best psychology coaching classes in delhi, Best Psychology Institute, CBSE NET Psychology Coaching, M. Phil Clinical Psychology Coaching, MA Psychology Coaching, NET Psychology Coaching, UGC NET Psychology Coaching on December 23, 2015 by UPS Education. 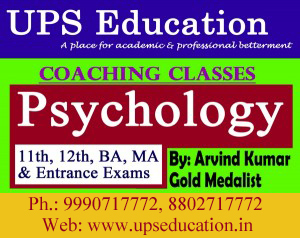 This entry was posted in approaches of psychology, best psychology coaching classes in delhi, Best Psychology Institute, CBSE NET Psychology Coaching, M. Phil Clinical Psychology Coaching, MA Psychology Coaching, NET Psychology Coaching, psychology coaching in delhi, UGC NET Psychology Coaching on December 22, 2015 by UPS Education. UPS Education is the best place for Psychology Entrance Coaching and special course for those students who want to qualify the NET, MA and M.Phil Psychology Entrance Examination. 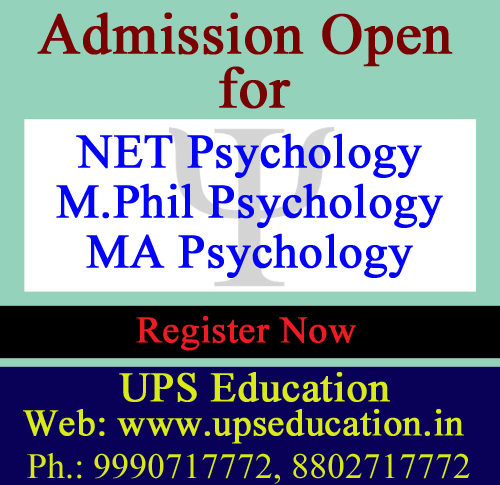 Join us as soon as possible, if you want to crack NET, MA and M.Phil Psychology Entrance Examination. This entry was posted in approaches of psychology, best psychology coaching classes in delhi, Best Psychology Institute, CBSE NET Psychology Coaching, M. Phil Clinical Psychology Coaching, MA Psychology Coaching, NET Psychology Coaching, UGC NET Psychology Coaching on December 19, 2015 by UPS Education. 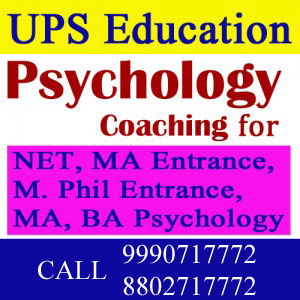 UPS Education is the best place for National Eligibility Test [NET] Psychology Entrance coaching. 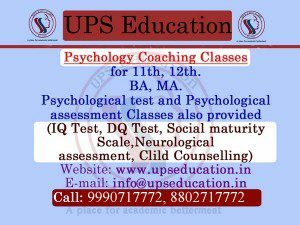 This entry was posted in approaches of psychology, best psychology coaching classes in delhi, Best Psychology Institute, CBSE NET Psychology Coaching, M. Phil Clinical Psychology Coaching, MA Psychology Coaching, NET Psychology Coaching, UGC NET Psychology Coaching on December 16, 2015 by UPS Education. This entry was posted in approaches of psychology, best psychology coaching classes in delhi, Best Psychology Institute, CBSE NET Psychology Coaching, M. Phil Clinical Psychology Coaching, MA Psychology Coaching, NET Psychology Coaching, UGC NET Psychology Coaching on December 15, 2015 by UPS Education.